I'd have written something last week, but I really didn't do too much worth writing about. This week's been a bit more active. I'm still doing a bit of research for GraphQL. Mostly around how best to communicate with the server in a web page or application. We're close to our next developer gathering at HQ in Philadelphia. I'm hoping snow and government shutdown won't make travel too problematic. Crazy Rich Asians was better than I thought it would be. Really fun and great film to watch with my wife. The Boxer's Omen was part of the Alamo Drafthouse's AGFA Secret Screenings series, so I didn't know what it would be until I was in my seat. It's a Shaw Bros. film from 1983, so I thought it was going to be a kung-fu movie. 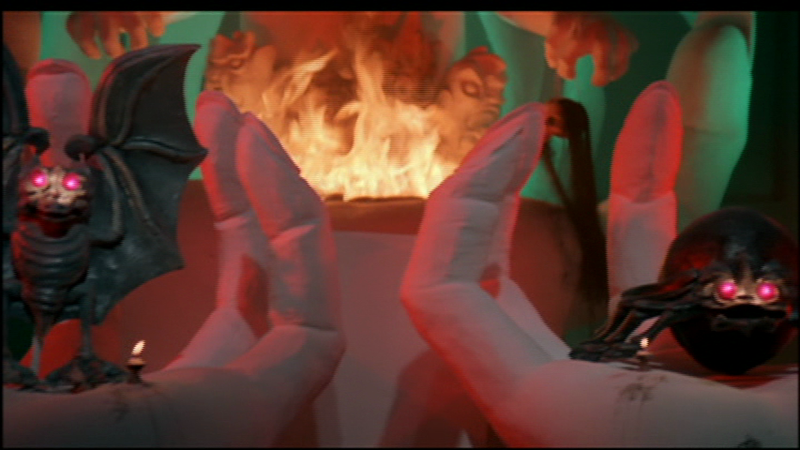 What we got was definitely one of the weirdest, most bonkers films ever. Bohemian Rhapsody was good, but a lot of it felt like we'd get a glimpse of something interesting but being pushed forward by someone saying, "Nothing to see here, keep moving." Apostle is on Netflix and I was mostly drawn to it because it's directed by Gareth Evans, who directed the Raid films. This one was very different than his previous works, but I felt worth a watch, particularly for anyone who's a fan of the old Hammer horror films. Along with watching films and playing boardgames, I also read and listen to audio books. Since I just finished a book earlier today, I figured I may as well start including them here. No spoilers. Koban is the first book in a sci-fi series. Having moved out into the galaxy, we come across a race called the Krall, who are a warrior race intent on becoming the fiercest there is. Koban is the name of the planet the Krall have found to be the most brutal to survive on. Their dream is to evolve enough to be able to live on Koban and be top of the food chain there. The book focuses on a captain of a ship taken captive for the Krall to train against in order to help determine if humans are adequate fighters to help the Krall on their path. While I liked the overall story itself, I think the book could have been edited down quite a bit. There are some parts which switch character perspective which is a bit distracting. We even get parts of chapters from the point-of-view of some of the creatures who inhabit Koban. Not sure I'm going to continue on with the second book in the series. Next up is Static Ruin, the third installment in Corey J. White's Voidwitch Saga. The first two books were awesome and I expect this one to be as well. 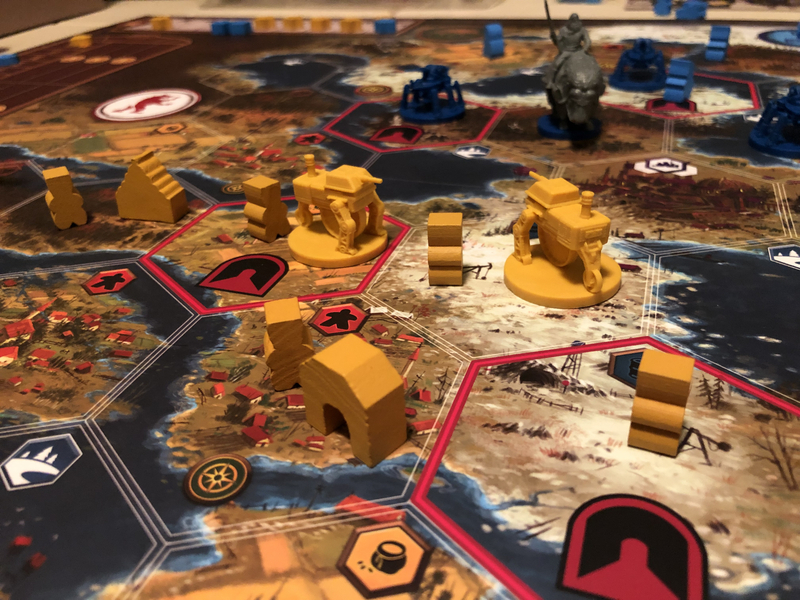 Scythe is a game I'd heard a lot of good things about so I ended up picking it up over the holidays. It's set in an alternate steampunk reality in 1920's Europe. The gameplay is mostly like a Euro-style game like Catan but does have some combat. Getting started was a bit tough because there's so many actions you can take it's a little hard to figure out how best to start. Once I got that my first real target was to simply be able to cross a river, that got me going. After that, I played through the entire game in one session. The turns are quick and as with a lot of addictive games, I felt I could just take one more turn. And then the game was over before I knew how much time had passed.